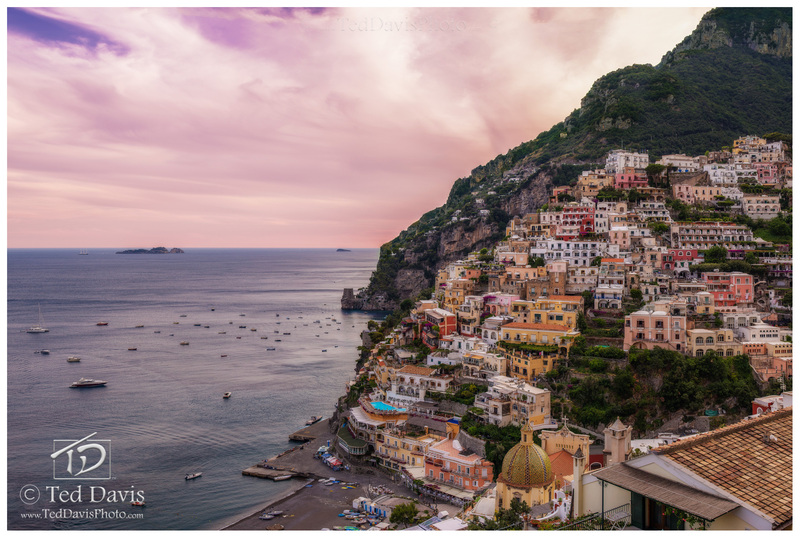 On fantastic Amalfi coast is Positano. Driving along the Mediterranean Sea, I was spellbound at the houses, hotels and restaurants seemingly rising from on top of each other to build these colorful towns. With the sunset fast approaching, my last night in Italy was spent admiring the beauty of these small towns as I snapped photo after photo. With the deep cloud cover stretching from north to south, I snapped my final shot and put away the camera. Mesmerized by the scene, I began to reminisce on my trip – every step I took lead me to this beautiful sunset on the coastline of Amalfi. Photo © copyright by Ted Davis.